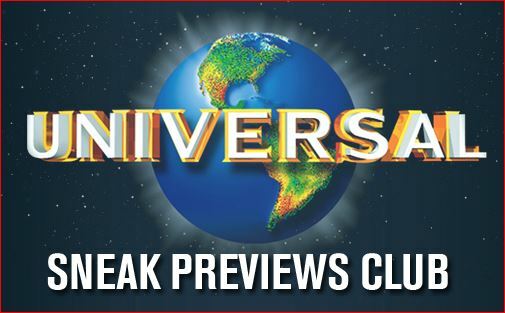 Universal Studios Sneak Previews Club!! Sign up HERE to be the first to know about Universal Studios FREE sneak previews in your area! Choose what movies you would like to be notified about by genre including: Action, Family, Comedy, Horror, Thriller and Horror.